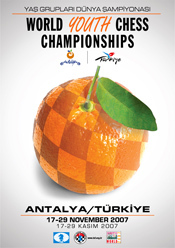 TCF guarantees that you will participate in one of the most professional competitions in the history of chess for the world youth championships. TCF aims for record participation in these events. We hope to achieve more than 2.000 players and 1,500 accompanying persons. We are ready to accommodate over 4,500 participants. We want to make a significant impact with global media coverage and special attention to chess.